We are so excited to announce that Alex Bain from Pell City has joined the Encore staff! 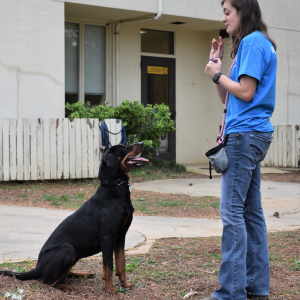 She is a certified dog trainer through the Animal Behavior College and volunteered at the Pell City animal shelter for several years. She will be teaching puppy and obedience classes starting in May. We’ll publish the schedule and details later this week. On Thursday, April 18, Alex will be available from 11 a.m. – 1 p.m at Encore for a meet-and-greet. 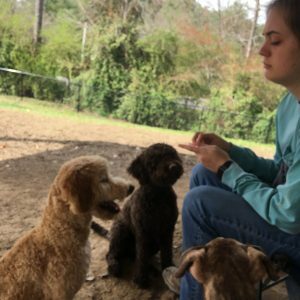 If you have questions about her classes, or just want to talk about some behavior issues you’re having with your dog, stop on by.